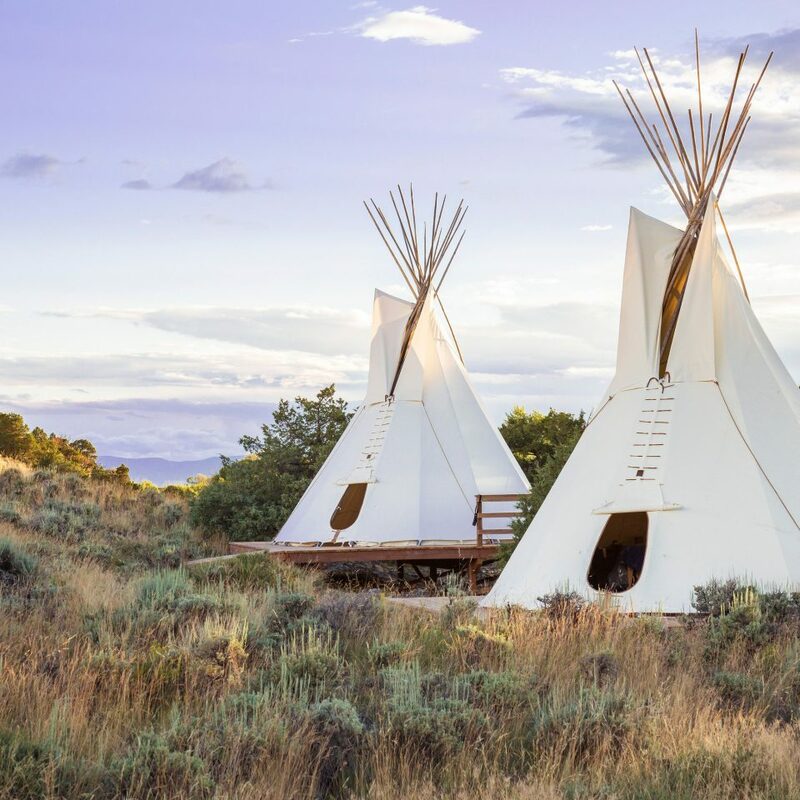 This century-old ranch, a highly sought-after wedding venue—actress Allison Williams tied the knot here last year—comes with a jaw-dropping backdrop: 30,000 acres of rolling hills, prairies and panoramic mountain views. 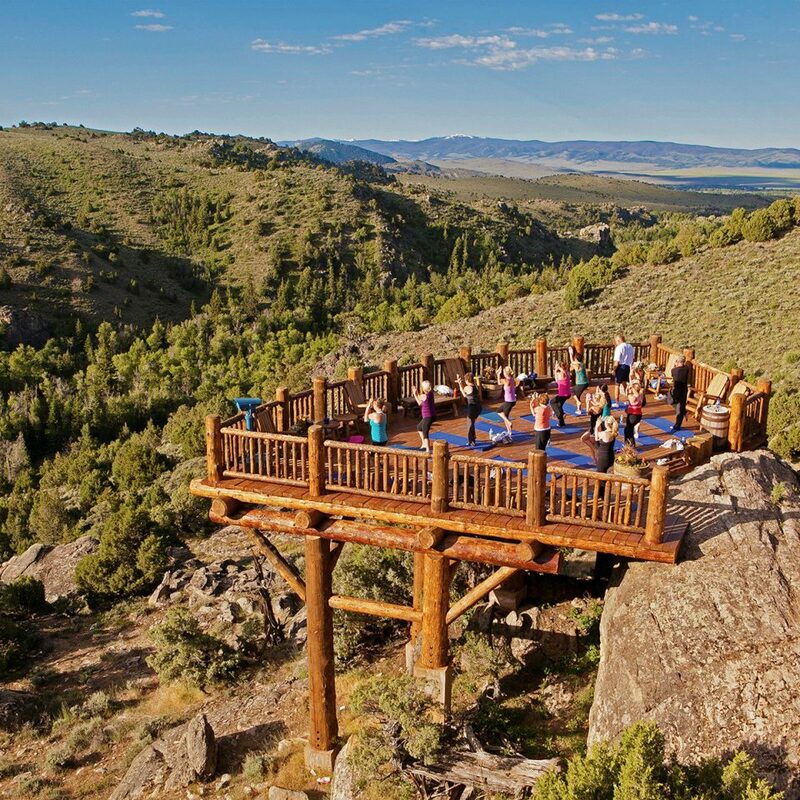 A perfect day here might involve sunrise yoga overlooking the Platte River Valley and channeling your inner cowboy with a horseback ride through notable sites like the bison paddock and historic Robber’s Roost Lookout (once rumored to be a hideout for thieves), then retreating to a private teepee at the Trailhead Spa for an afternoon facial—there’s a hops-and-herbs version for the gentlemen—before heading back to your log cabin, where you can squeeze in a cat nap before indulging in a family-style barbecue feast at the ranch’s lively fire pit. 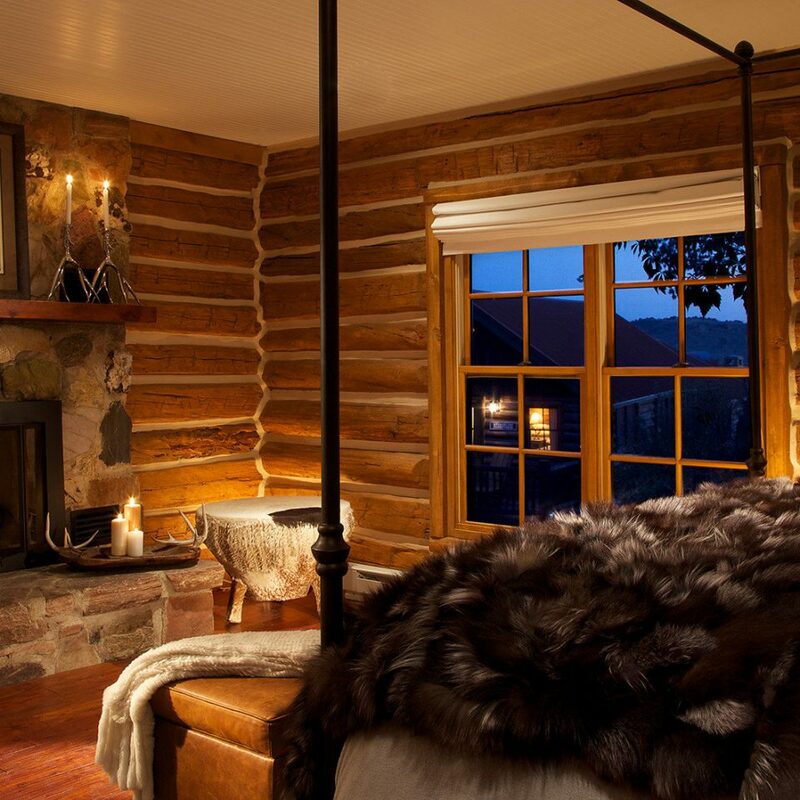 Fur throws, soft suede pillows, and antler chandeliers all amp up the warmth and snuggle factor in the 41 spacious rooms here, a combination of log cabin residences, lodge rooms, and cabin suites. 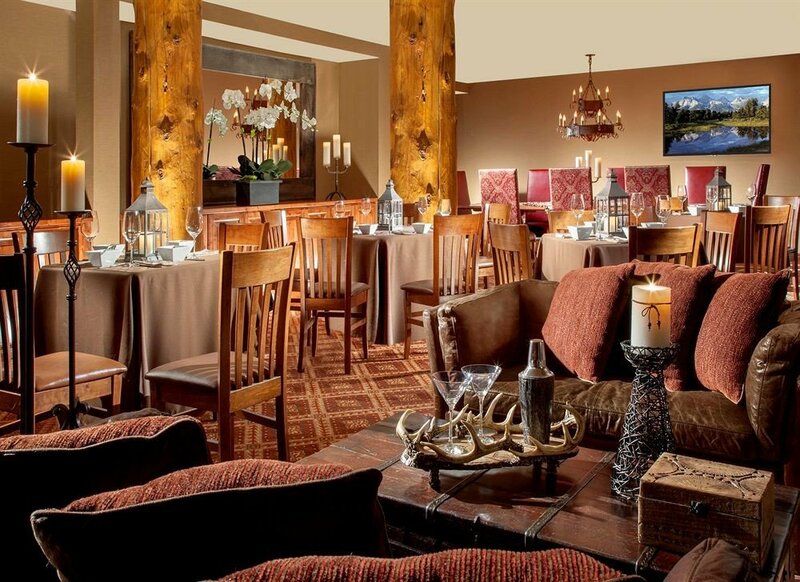 In-room accessories like buffalo nickels on headboards and cowhide leather chairs tip a hat to the Western surroundings, while the hand-hewn exteriors are inspired by the ranch’s original 1884 homestead. 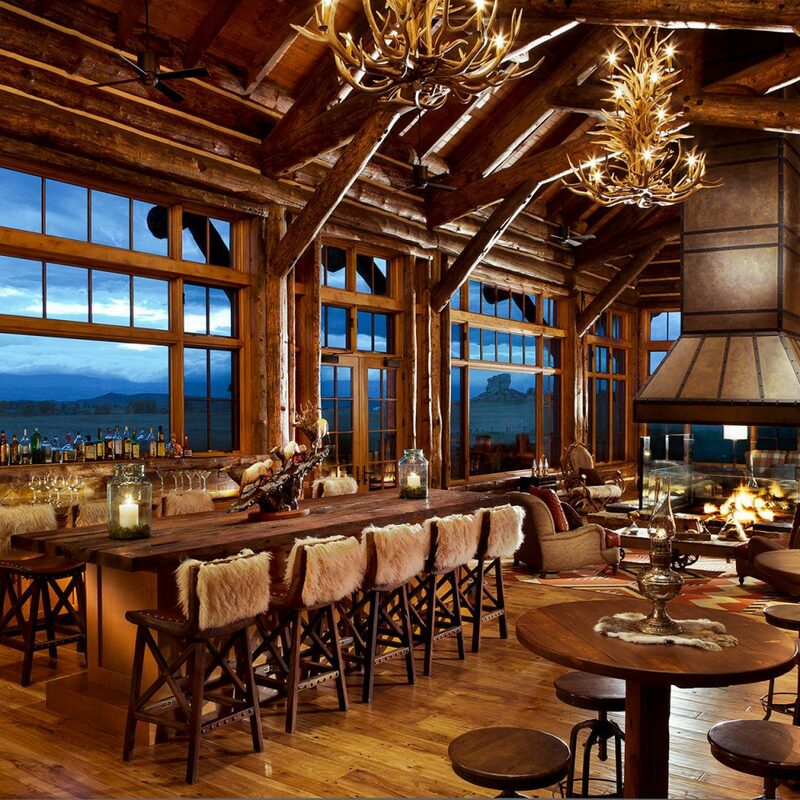 Though the dishes trotted out by the ranch’s five dining venues all have the Rocky Mountain stamp, it’s Creekside Camp, where the star players are a couple of grills, that steals the culinary scene here. 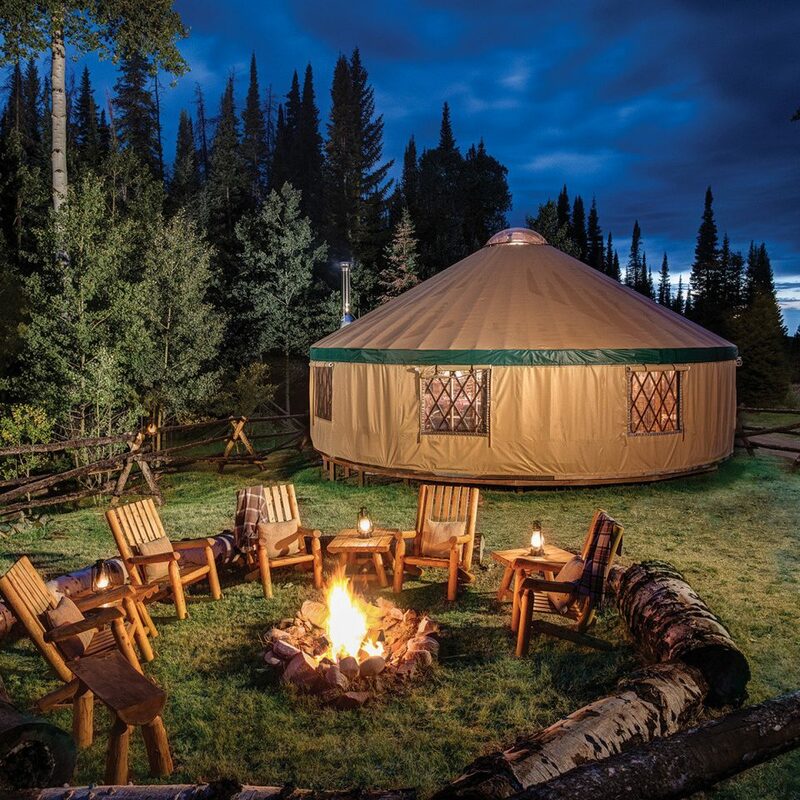 A classic dinner spread might consist of hearty treats like carved prime rib, tea-brined chicken, and a sumptuous venison chili, the house chef’s signature dish—all enjoyed beside a campfire. 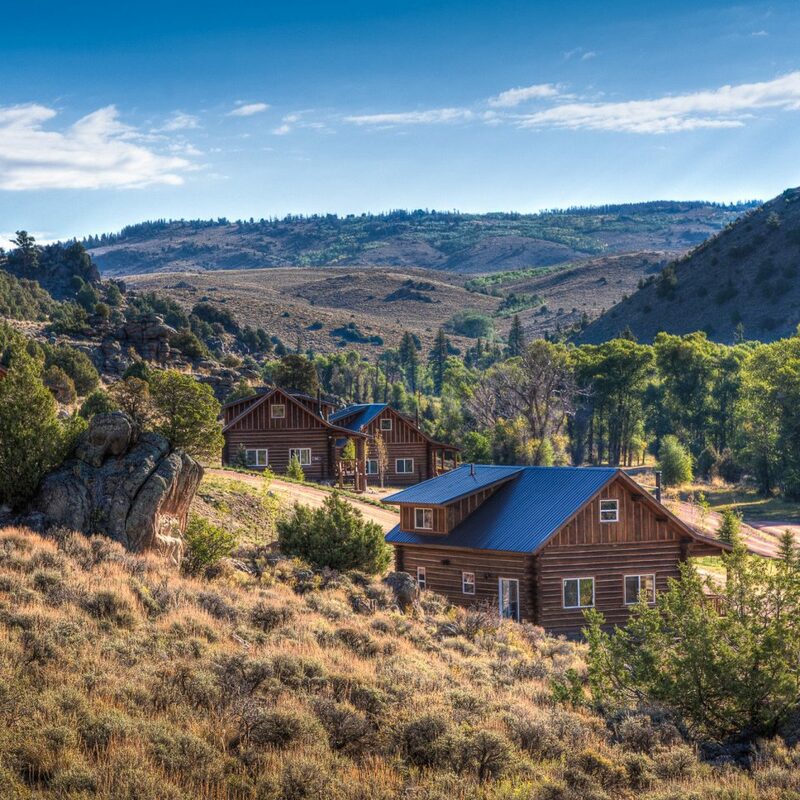 Nestled in the heart of south central Wyoming, Brush Creek Ranch is situated next to the lush Medicine Bow National Forest. 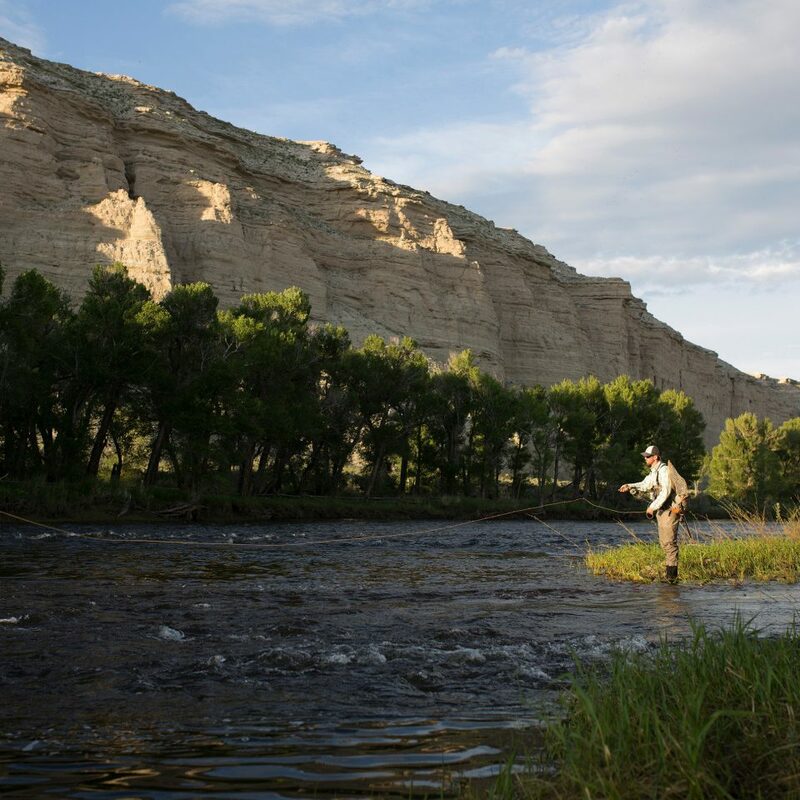 It’s a scenic 3.5-hour drive from Denver International Airport and just an hour from nearby Laramie Airport. We had so much fun! 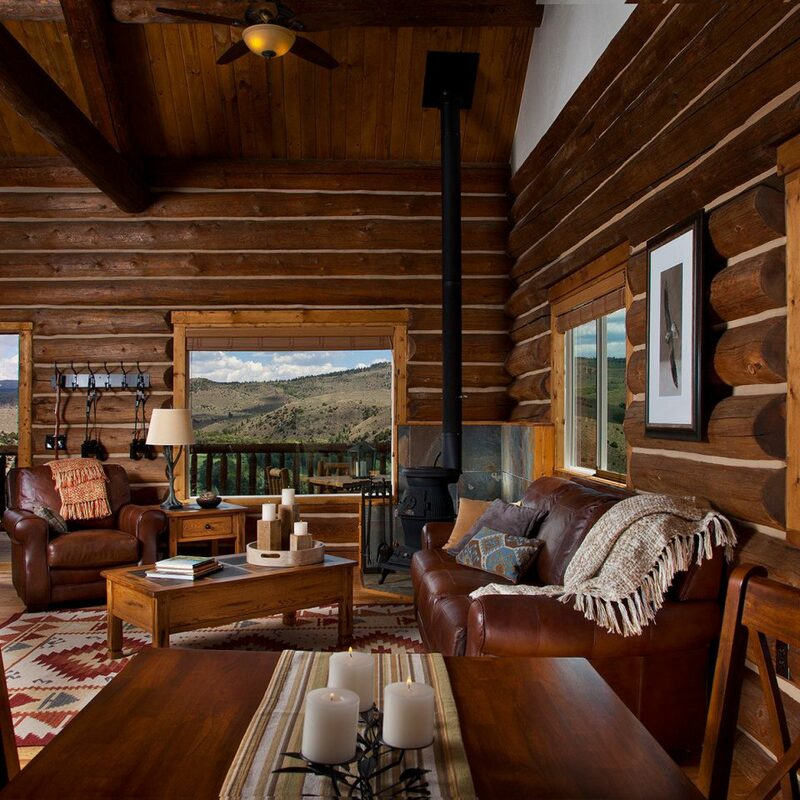 The cabin we stayed in (Grand View) was super cozy, the food was very good, the cocktails even better, and the best part was the variety of activities. 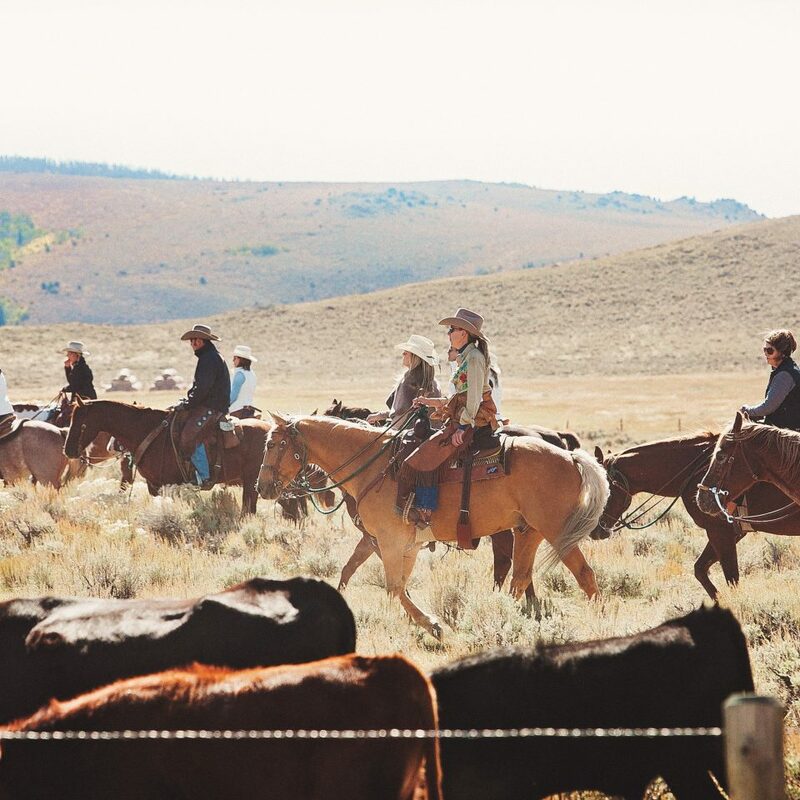 The cattle drive with our ranchers Mikaela and Garret was the highlight of the trip for our entire group - from first time riders to advanced, it was such a unique experience and the sceneries were absolutely breathtaking. Before the trip even ended we were already planning our next visit. If you're considering going to BCR, do it. 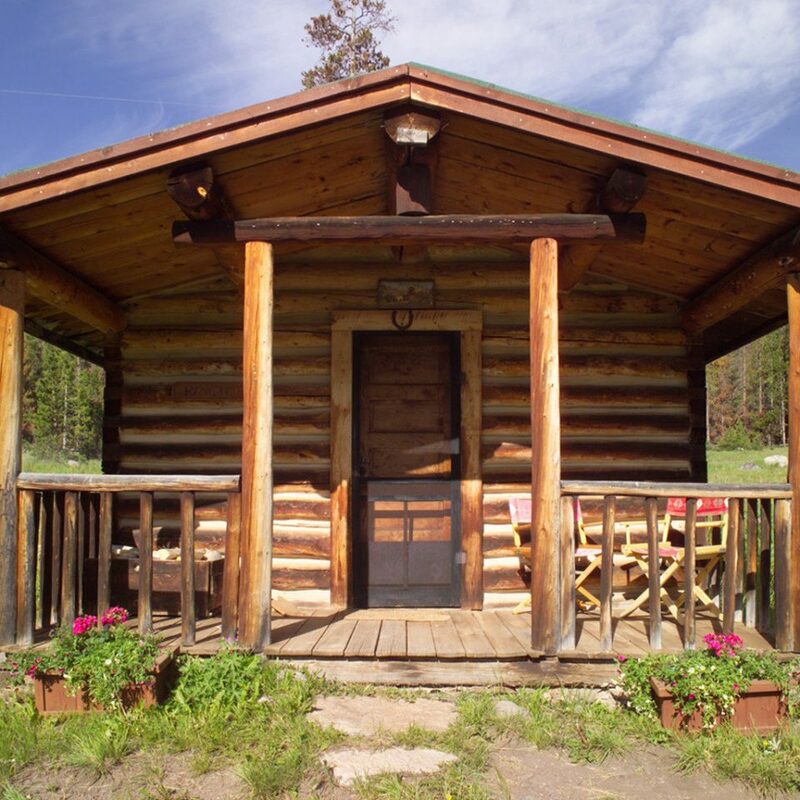 Excellent accommodation's stayed in Jo's Cowgirl cabin and Stagecoach cabin. The weather was rainy but it made it almost better because we spent quality time as a family. 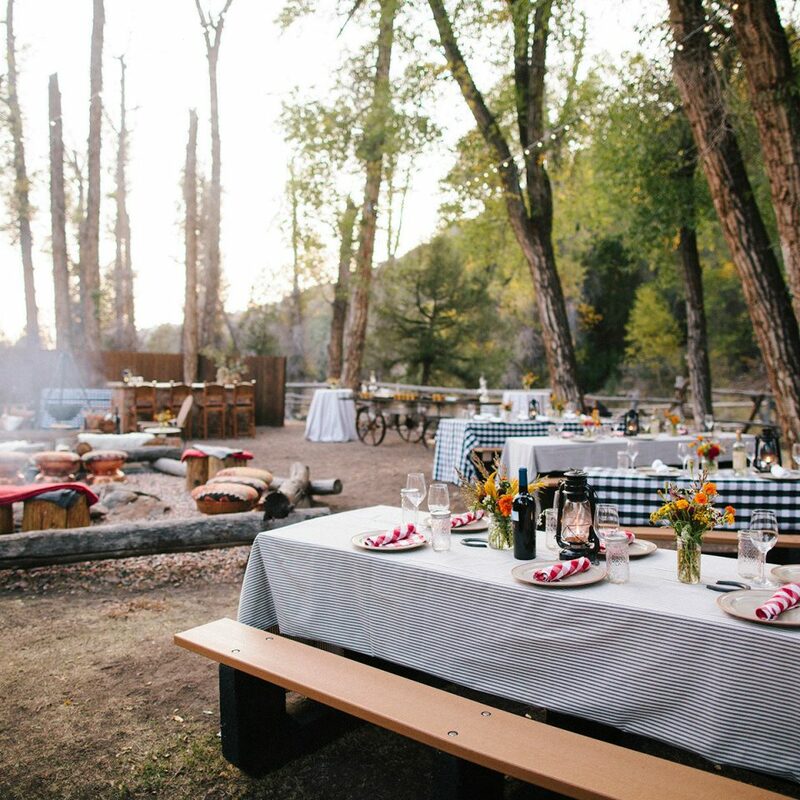 Highly recommend this ranch experience! 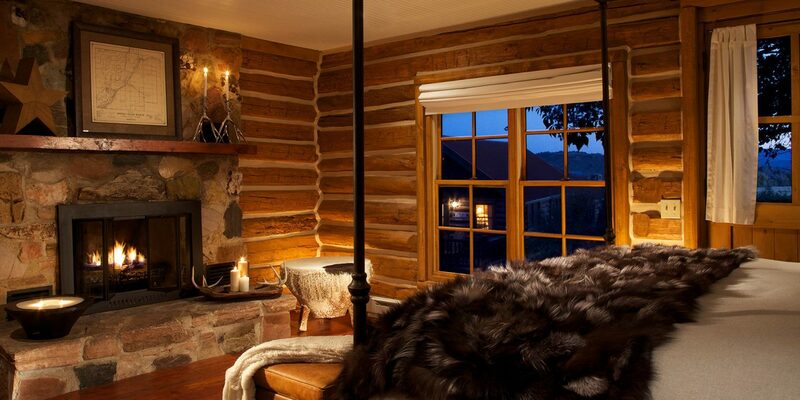 Amazing one year anniversary getaway! 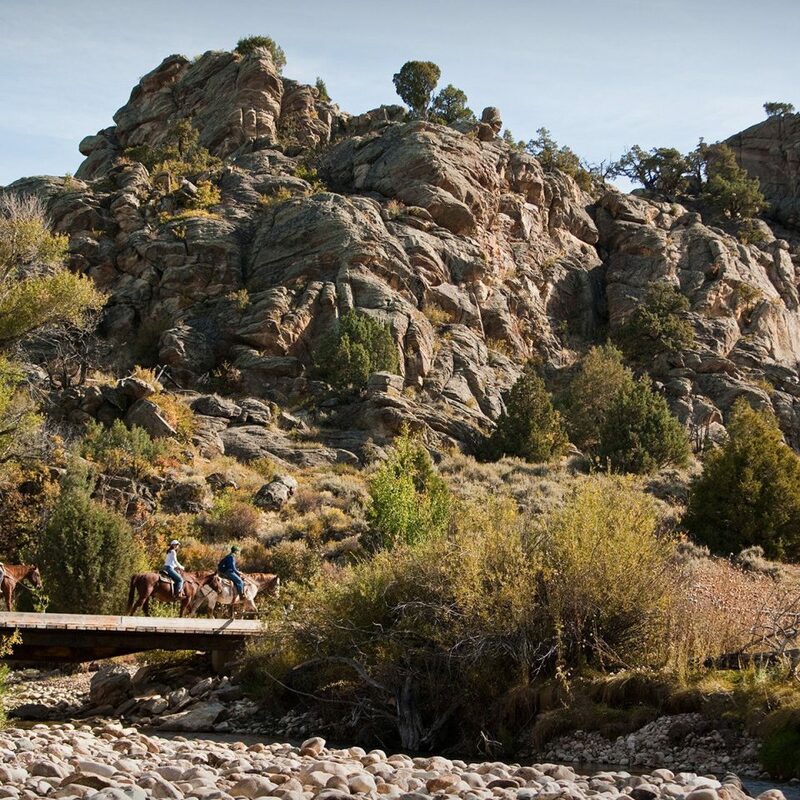 We knew we wanted a combination of luxury and a dude ranch adventure, but Brush Creek surpassed expectations in every way imaginable. 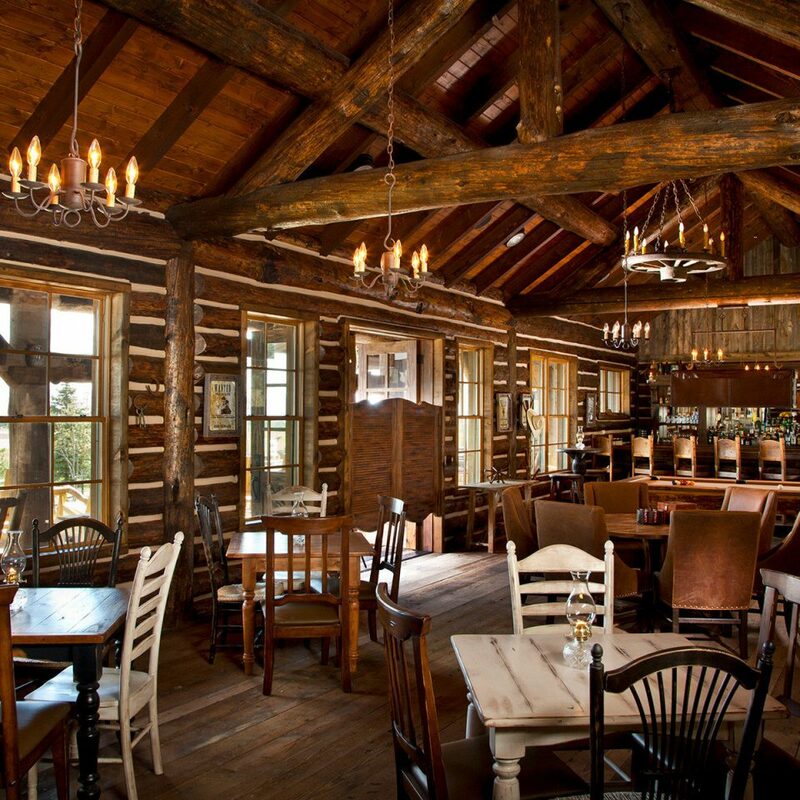 The food was incredible, the staff were delightful and everything we could want to experience was at our fingertips. Worth the trip any time of year, and we will be back. 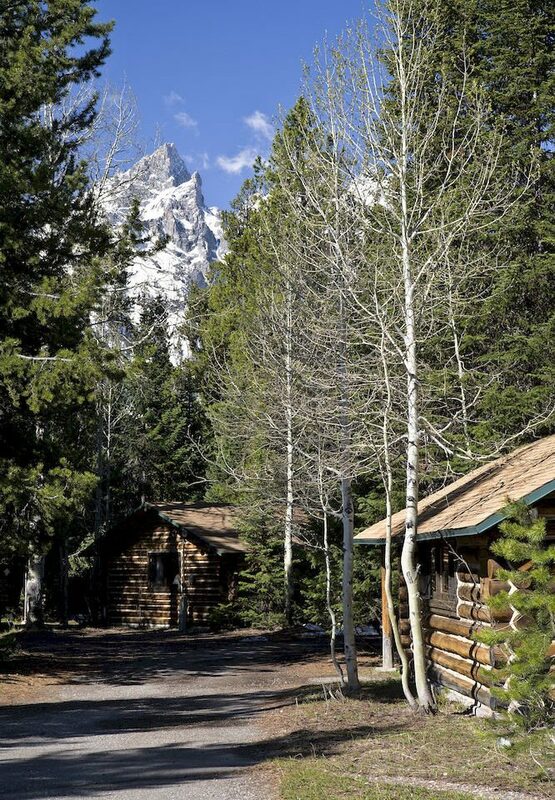 You will truly feel like you are in the middle of the Old West and enjoy scenic vistas with an abundance of wildlife, as well as, stellar food and accommodations. 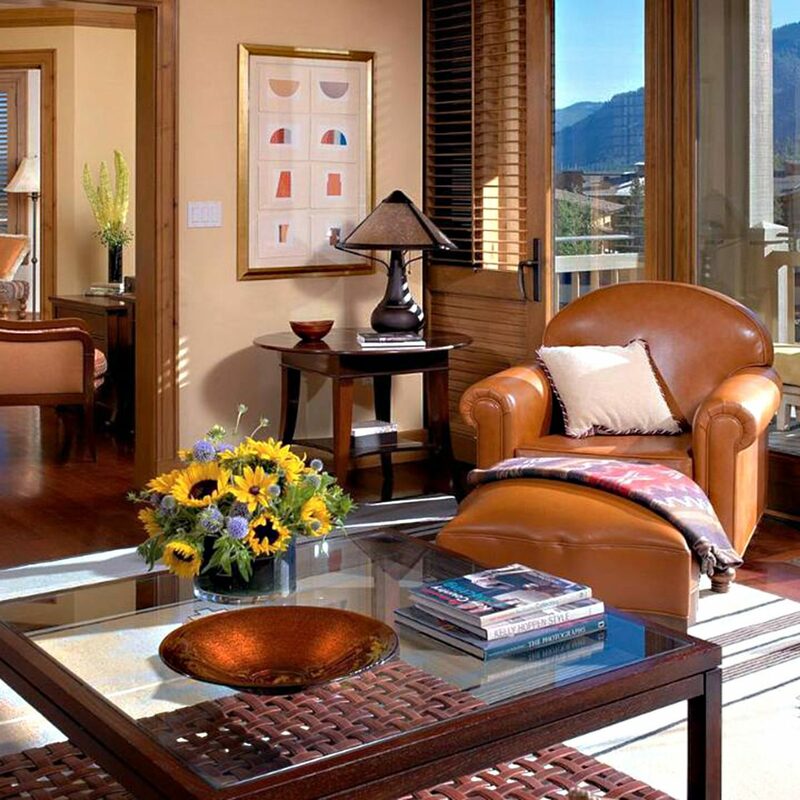 Do not hesitate to plan your next stay at BCR! 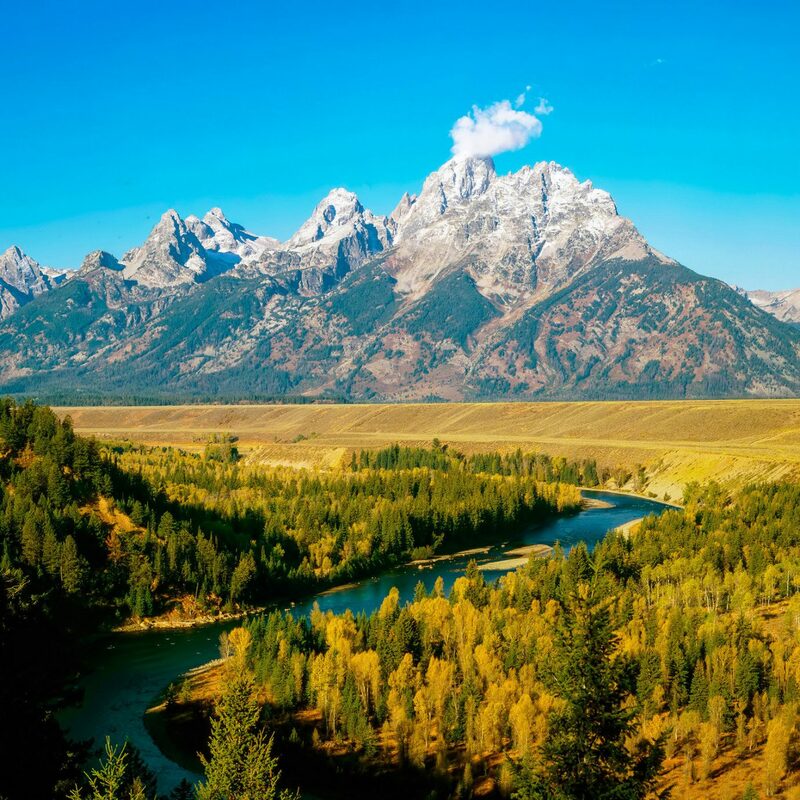 Relaxing adventure in beautiful Wyoming! 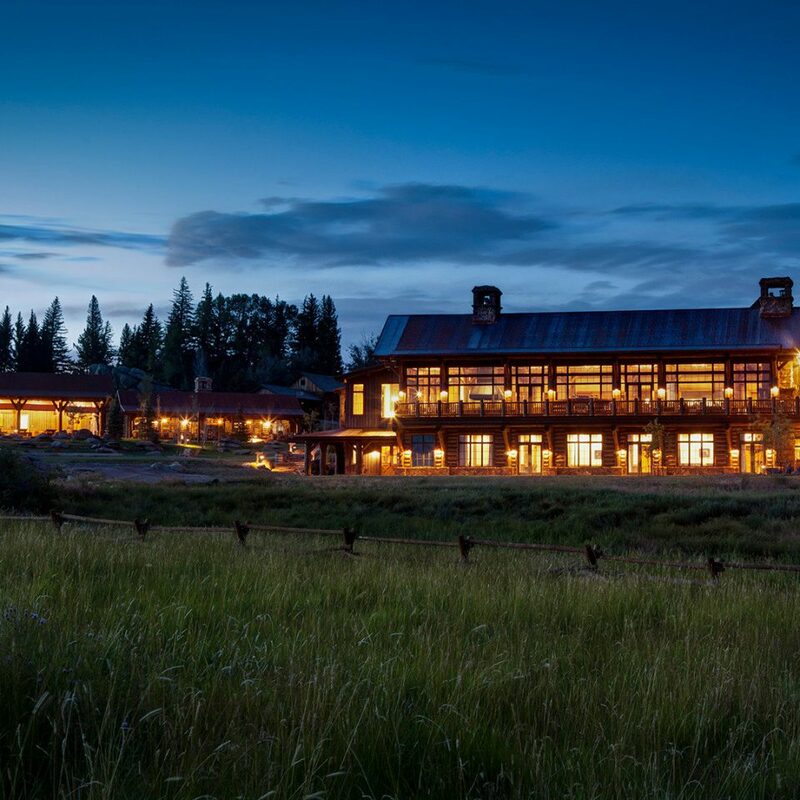 We enjoyed every minute of our stay at Brush Creek Ranch! From the minute we arrived we were greeted and catered to. 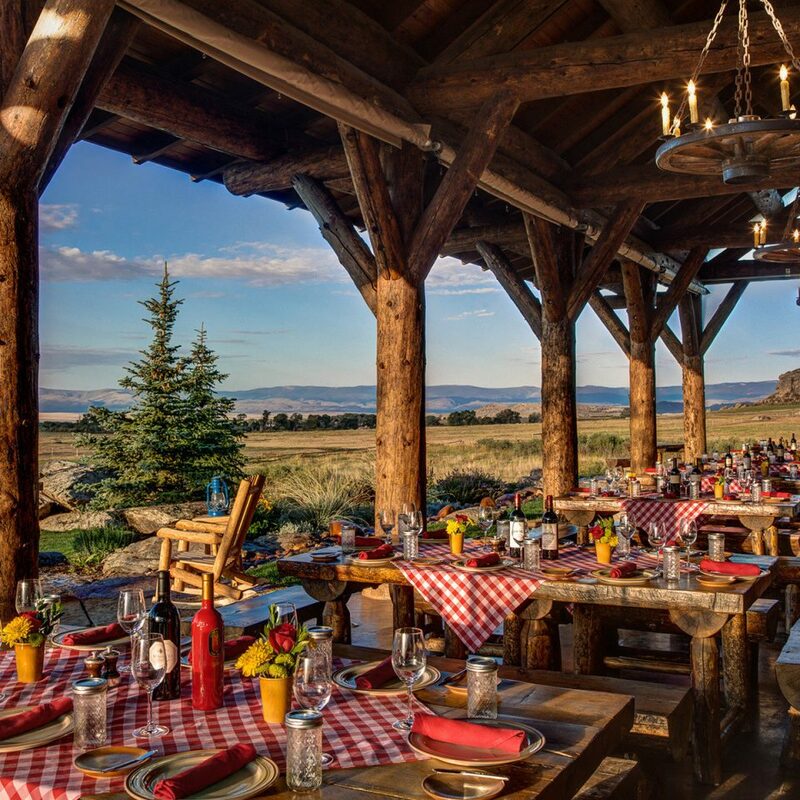 The ranch was spectacular and the broad range of activities added to the experience. The food and beverage staff was amazing, as were our meals! 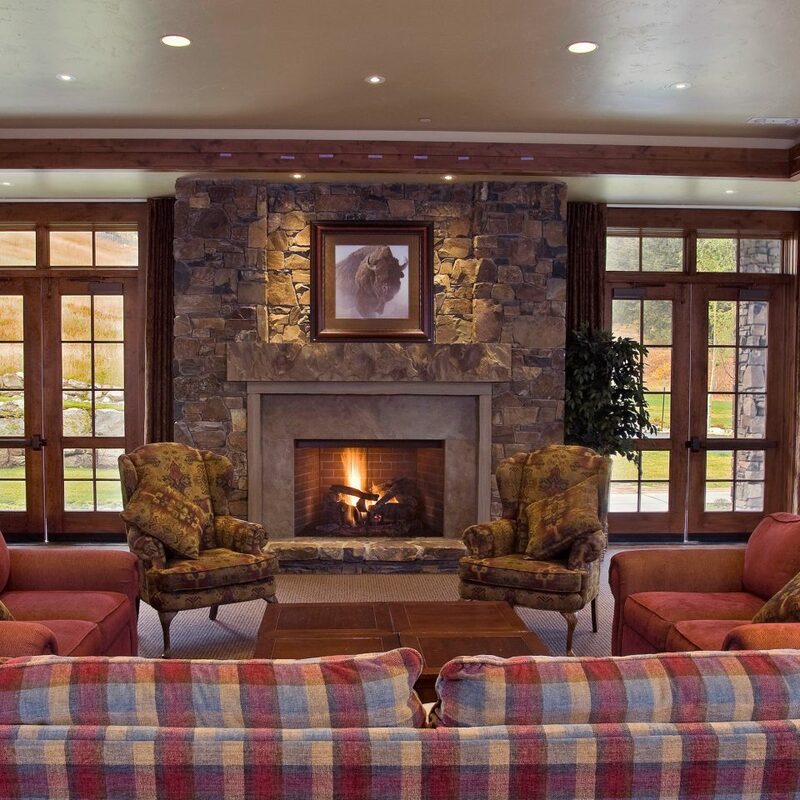 They paid great attention to detail and everyone made sure we had everything we needed. The entertainment was fun and we enjoyed the saloon. The activities team also did a great job! We rode horses with Dakota and Mikayla, fly fished with Ron and Dallen, went on a Ranger tour with Liz, and honed our shooting skills with Eli! 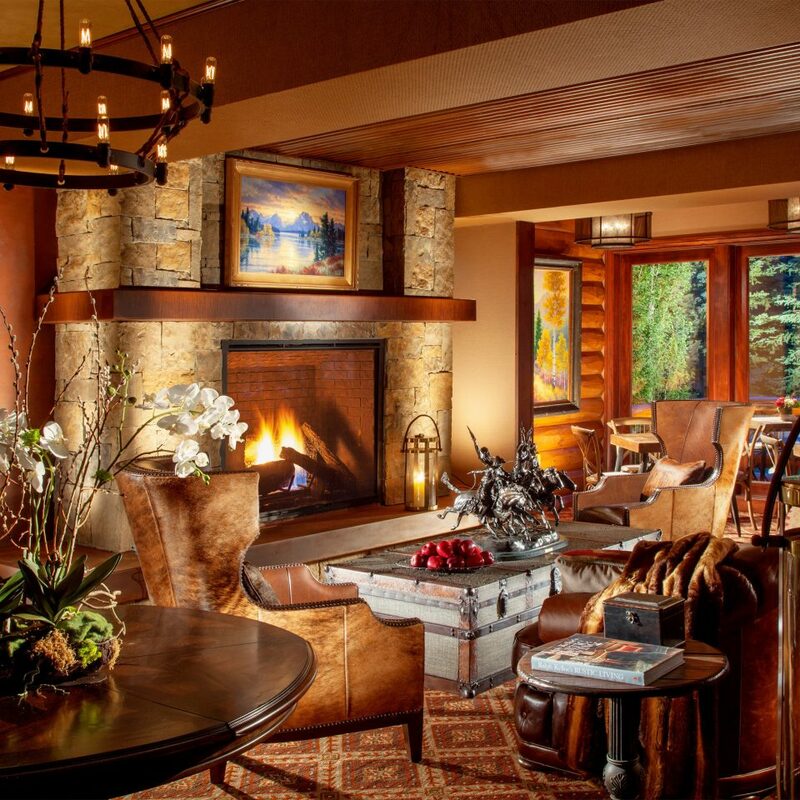 The spa was a welcome addition and Shandra was a great therapist! We will definitely be back!